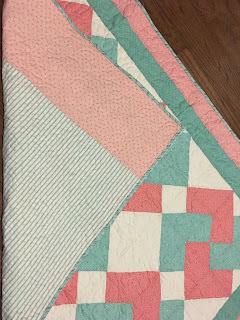 One of my GROW goals for 2016 was to do more charity quilts. 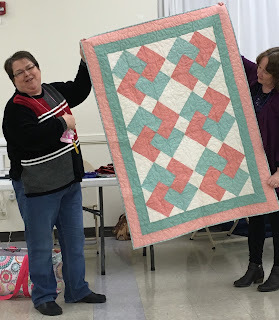 I'm happy to say I've completed my first charity quilt and it's already been given to the coordinator of charity quilts at my guild, DeKalb County Quilters Guild. 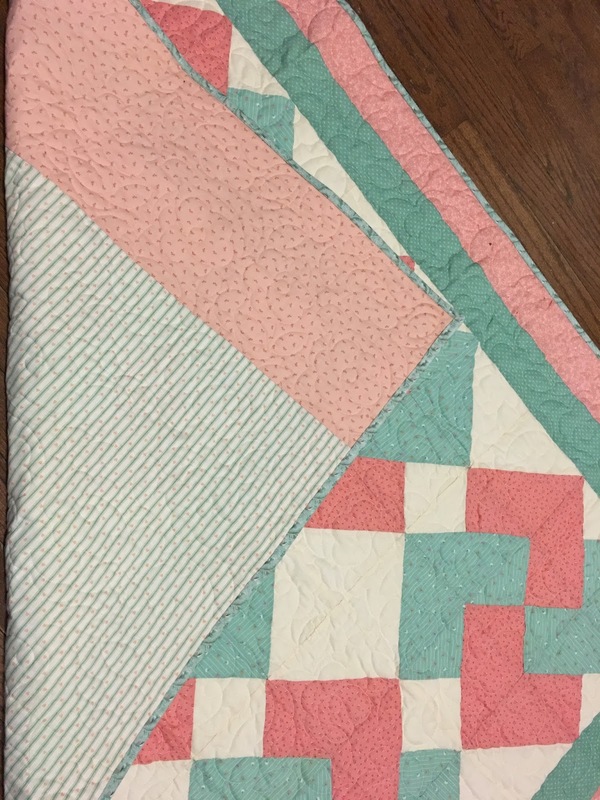 This charity quilt is a quilt top I acquired from an estate sale or flea market in Nevada, Missouri, probably about 8-10 years ago. The pattern is card trick. Some of the stitching was completed by hand and then later finished with a sewing machine. 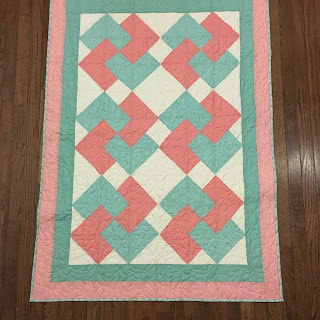 I used Glide Pearl thread to quilt it in. The binding is on and it's gonna make someone happy to receive it. 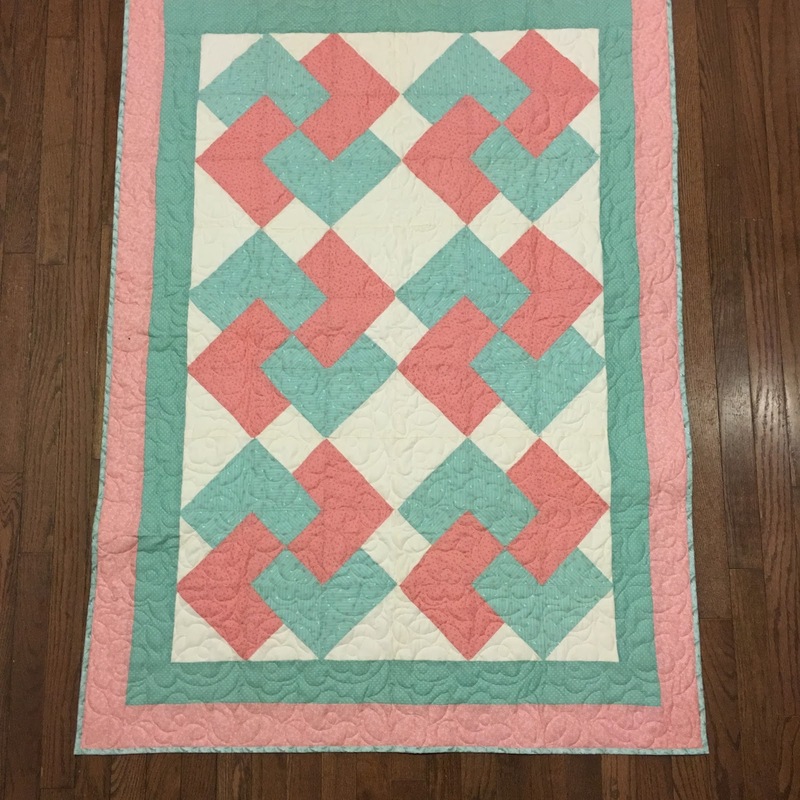 I hope that's the first of many charity quilts for 2016 for me. Do you make or quilt charity quilts? How many do you plan to do for 2016?